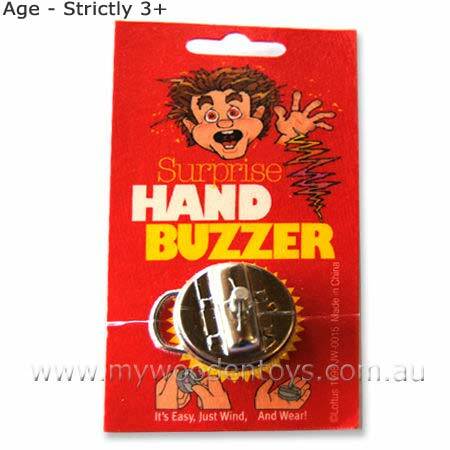 Joke Clockwork Hand Buzzer is a traditional joke toy. You wind it up, wear it like a ring and them shake hands. The clockwork buzzer vibrates and makes a noise. This joke toy does not give you an electric shock it is the sound and vibration which causes the surprise. We like this because: "Very effective. "